This is a recipe for Chicken Apple Sausage Hot Dogs that appeared on an Ina Garten episode for an outdoor grilling brunch party. 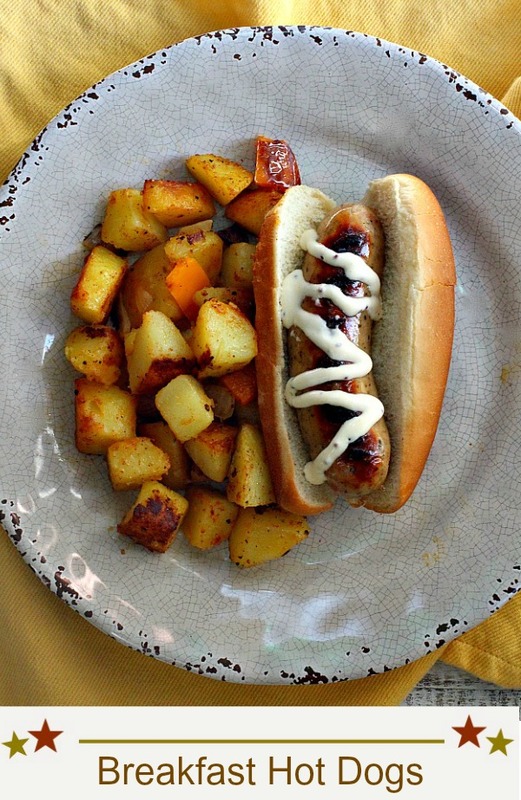 Chicken and apple sausages are drizzled with an amazing mayo and mustard dressing that makes this a delicious chicken hot dog brunch idea. Breakfast hot dogs. Awhile back I watched Ina Garten putting on Sunday brunch outdoor extravaganza grilling party and promptly bookmarked her chicken sausage breakfast hotdogs to try soon. I couldn’t think of a better time to give this a try than the beginning of grilling season, a Memorial Day grill-a-thon. First I made and served these up with some spicy country fried potatoes, which I pan cooked before I cooked the sausages and covered in foil to keep them warm. Meanwhile out on the grill were the sizzling apple flavored chicken sausages waiting to be drizzled with the star of this meal…Ina’s Mustard and Mayo sauce . It’s a luxurious white creamy mayo, sour cream mixture with a hint of tangy mustard. This sauce would make a shoe taste good. On a beautiful sunny Memorial Day morning was a perfect holiday meal. And an easy one at that because the brand of chicken sausages I used are pre-cooked. All they need is a good browning to heat through. There are so many chicken sausage flavor combinations for us to experiment with these days. Whole Foods carries a nice variety and right now, Costco sells Sabatino’s Chicken Apple Sausage and Smoked Mozzarella with Artichoke and Garlic Chicken Sausage. I always try to pick up these different flavor combinations to experiment with, and we’re loving the Chicken Apple most. A nice flavor combo for our liking. And they’re pre-cooked which makes them an easy meal option, they brown up nice with some impressive grill marks, and they’re low-sugar, gluten-free, nitrite-free and relatively low in fat. The sauce for these sausage dogs calls for sour cream, so before I share the recipe, let’s talk about that. A couple of months ago when posting a recipe that included sour cream, I received an email from Cathy over at Noble Pig saying “all sour creams are not created equal”. Hmm…never really thought about it. She continued that she always buys the high quality Tillamook brand. I did indeed buy Tillamook and the difference between it and the run of the mill product from Safeway was like night and day …and only for about a dollar more. It had a consistency comparable to Greek Yogurt and a creamy richer flavor that was simply divine. My advice … spend the extra buck or two for quality. It will make a difference in your recipes. Not to mention that baked potato = ohmy. Disclaimer: Sabatinos and Tillamook probably don’t know I’m alive and they have never paid me or given me samples to write about their products. Ok, with that said, back to the breakfast. If you’re looking for chicken apple sausage recipes, I hope you give this one a try. And if you do, please come back and let me know how you liked it and give the recipe a star rating. Your feedback is valuable to me for developing future recipes. And if you have a favorite grilled sausage recipe, let me know, I’d love to give it a try. If you’re looking for more unique hot dog recipes, you won’t want to miss my copy-cat Coors Field Taco Dog. It’s a fun one. Whisk the mayonnaise, mustards, sour cream and salt together in a small bowl. Set aside while you cook the chicken sausage. Heat a grill, or a stove-top grill pan over medium high heat. Add chicken sausages and cook 3 minutes per side. Or until heated inside and you've got some good grill marks. Buy chicken sausages that are pre-cooked. Feeling adventurous? 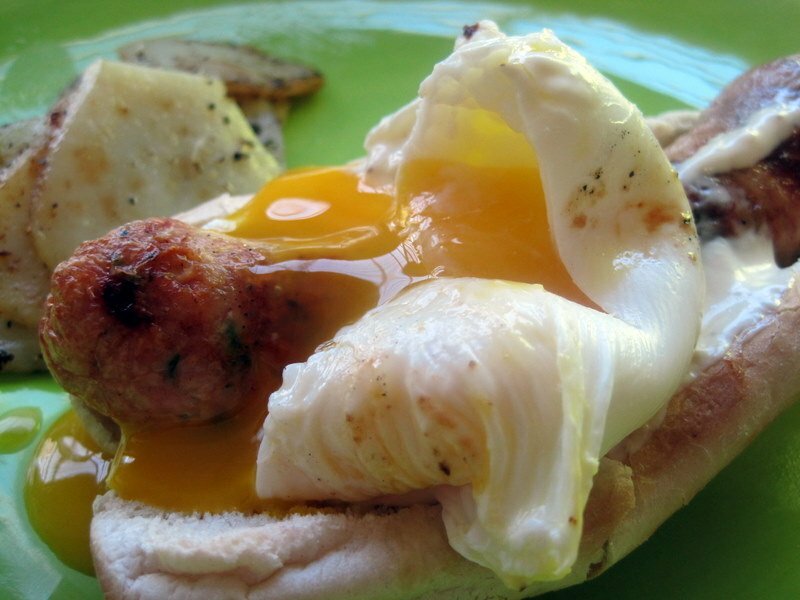 Serve these breakfast sausage hot dogs topped with a poached egg. 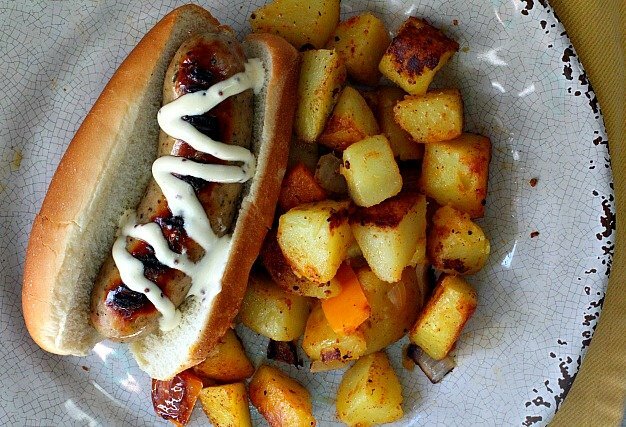 Ina’s Chicken Apple Sausage Hot Dogs…They’re What’s For Breakfast. I’m linking this recipe to Meal Plan Monday, Thank you Stacey over at Southern Bite. 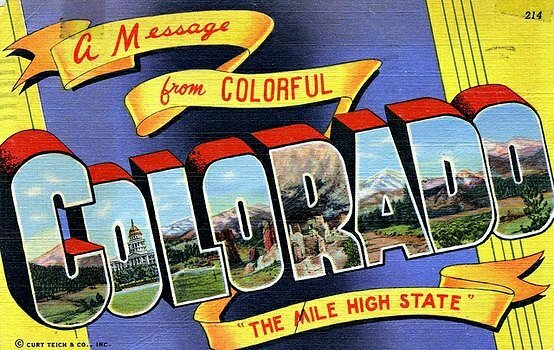 ** this is an updated post from June of 2010. Same great recipe, with updated and much better photos. For the record, wallaby also makes the most amazing yogurts! I love their texture. This looks like a breakfast of champions! I purchase Wallaby yogurts but the Horizon sour cream. I will read the back of the labels next time to make sure it will be the “good” sour cream. Thanks for the update! Yes, I would also like an poached egg on my potatoes. Yummy. You’re killing me with this meal – I’m reading blogs before breakfast. Like you I will immediately put this in the bookmarks and when I have it I’ll have my eggs both ways. Great job with the meal and the photos. OK, inquring minds want to know, did you use your contraption to poach the egg or did you free style it? Num. Camping breakfast? Either way, I’m in. Holy Moly, I’ll take my egg on the potatoes. (fried potatoes remind me of my mom, too.) This looks amazing, LA! I’m dying to try the mustard mayo on the chicken dogs in my fridge – sounds like a great condiment. Our little store here has the Tillamook, but I’m interested in trying the Wallaby for a comparison. I’ll let you know. 🙂 Great post, captured beautifully! Lucky you that you can find Tillamook. I love their products. What Larry said. No one should read this BEFORE breakfast cause all of a sudden Cheerios seem really lame. Photos are beautiful. Are you submitting to the photo sites? Pretty unique recipe! Around here the better sour cream would most likely be Daisy brand..
Gotta try that sauce… it sounds fabulous! I would never think to have a hot dog for breakfast, but everything is good when it’s topped with an egg! Your fried potatoes sound awesome and that soft tender egg is making my mouth water. I like the Wallaby vanilla yogurt though some people think it is a little runny. I love Ina May and those look delicious! I never really thought about what’s in my sour cream either. I usually just buy the Trader Joe’s brand. Now I’m wondering if that’s any better or worse than the others? Breakfast hot dogs look fabulous. 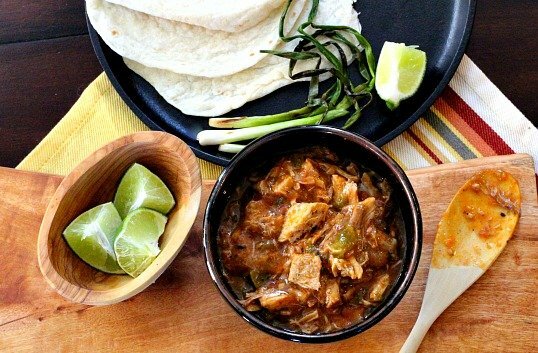 You can never go wrong with an Ina recipe. This really is quite impressive. A perfect Sunday breakfast. I agree Velva, Ina has great recipes. As always, thanks for stopping by. The weiner done broke the egg in the last shot….there’s gonna be a baby! I mean errr, ummmmm, uhhhh. LOL, believe me, I had a terrible time finding a photo that wasn’t x-rated. There was a lot of white sauce everywhere! what a great idea! It all looks great. It is making me hungry and I have two hours until lunch….